Just before the tsunami, Tui was due to start work at a resort on Koh Phra Thong. Fortunately, she had to return to Bangkok on that fateful day to collect some documents and remained safe while the resort was completely destroyed by the wave. Tui decided to return to the region and work for the North Andaman Tsunami Relief (now Andaman Discoveries) to help rebuild the region. There is nothing that Tui does not do and you’ll find her in the office and in village, coordinating numerous community-led development projects, overseeing the long-term scholarship program (with over 126 students) and translating for tourists so that they can really engage with the villagers. Her personable nature makes her popular with staff, villagers and tourists alike. With a history in hotel and tourism management, P’Tui’s strong service mind and beautiful smile has been invaluable to the success of Andaman Discoveries. Born and raised in Kathmandu, Bodhi Garrett graduated from UC Berkeley and moved to southern Thailand in 2003; researching sea turtles and serving as marketing and conservation director for a remote eco-resort. 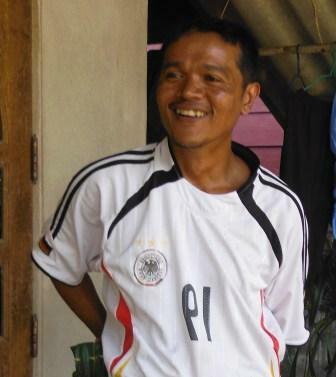 Bodhi founded North Andaman Tsunami Relief after the December 2004 wave claimed his job, home, and the communities he had come to know and love. The grassroots disaster relief effort grew under his leadership to encompass over 150 projects in 12 villages. With a clever wit, and an unfailing sense of social justice, Nat’s responsibilities include project management, administration, community relations, and graphic design. She serves as the coordinator for the North Andaman Community Tourism Network, and for our local youth environmental education collective. Nat’s willingness to help with whatever is needed, and her deep friendships in the communities we serve, make her a very important part of the AD team. Nat’s professional experience includes time with the Elephant Conservation Network, the geoinformatics journal of the Asian Institute of Technology, and a number of other positions at NGOs. Nat’s education includes a Bachelor’s degree in biology, one in Thai studies, and a Master’s degree in Oriental Language Inscription. Nat’s hobbies include traveling, with recent trips to Egypt and Japan. When not in the office, Nat can be found enjoying Japanese films and driving in her stylish classic Mitsubishi Lancer. 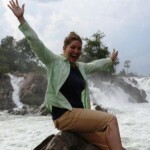 Lindsey Reding has joined the Andaman Discoveries Team as Volunteer Coordinator. She served as a community development volunteer with the U.S. Peace Corps for twenty seven months in a small village in Prachuab Khiri Khan. This created the opportunity for her to learn the Thai language, understand the culture and truly appreciate how special the country of Thailand is and that sustainable tourism is important to preserve the environment and culture found along the Andaman Coast. She loves interacting with the villagers and participating in the many activities that they graciously share with guests. The natural environment in Thailand is spectacular, unique and something to be cherished. She loves sharing this beaty with guests and helping them see the generous hearts and spirits of the Thai people! She is looking forward to working with the volunteers and volunteer projects that Andaman Discoveries supports as they offer meaningful experiences for everybody involved! My name is Mondop Sreshthabutra. My nickname is Bee but everybody calls me “Pi’bee”. I was born in Bangkok but I moved to live in Kuraburi 10 years ago, in the middle of the tsunami year. I graduated from Ramkhamhaeng University program Political science. Before I came to work with AD, I used to work with Goldenbuddha Resort on Koh Phrathong. My job at the resort was as a Bartender. 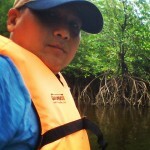 It was very different with my job here at Andaman Discoveries, but I am trying to do my best for my new job. Hem of Ban Talae Nok village is active in many village programs. In the past he has worked with USAID in the village and is well trained in disaster response preparation. 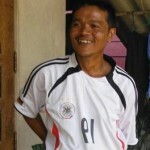 He is a member of the agriculture committee in Ban Talae Nok and is one of the first homes equipped with a biogas system that he tends to daily. 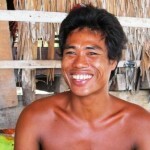 He is a true family man and loving father of three, with a beautiful homestay that specializes in Batik making. Life has not always been so easy for Pink – the majority of her village was destroyed in the tsunami, and, due to declining fish stocks and mangrove destruction, she was unable to return to her traditional fishing lifestyle. With the development of community tourism, however, her luck is turning around. Since rebuilding their lives after the tsunami, some villagers in Ban Talaenok are using tourism as a tool for sustainable development. Community members such as Pink now offer homestays, eco-tours, and other activities she’s the leader of the natural soap group and also the assistant chief of the village. P’Noi lives with her family and her twin with children in their lovely home in the village of Tung Dap. 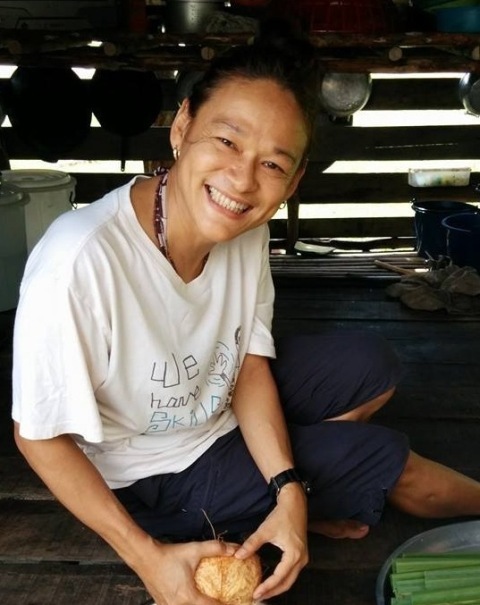 After participating in the homestay group in the village, P’Noi brings her experience and knowledge of the local environment to the CBT group and guests that visit her village. 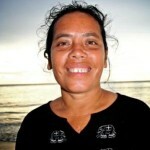 She is active in many conservation groups on the island and helps to lead local youth development and guide training. Her family offers an unforgettable homestay experience in their traditionally built natural home surrounded by cashew nuts trees. 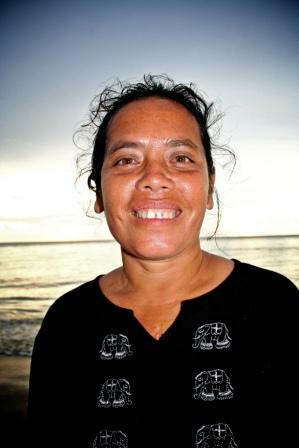 Nuey Klaytalae was a founding member of Moken Tourism Group under Ajan Narumon Arunotai, and has used these skills and knowledge to help rebuild the Moken Community Based Tourism Group. 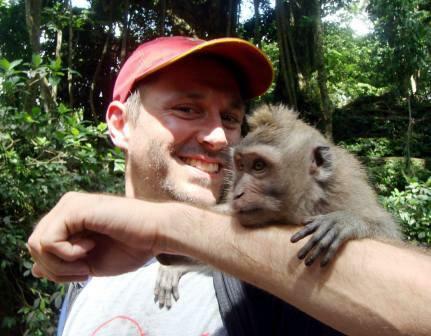 He has also worked with the Project Moken team and traveled to Norway with a Moken Kabang. 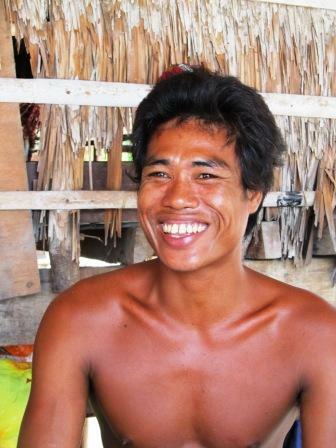 Nuey lives year round with his wife and two children on Koh Surin and has strong interest in keeping the Moken culture and lifestyle alive. 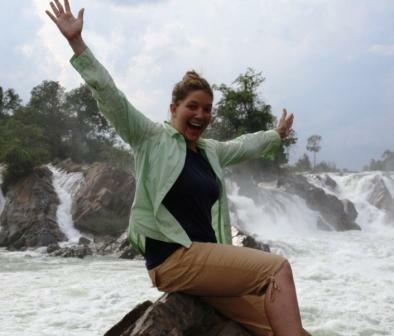 Nicole Lemmo joins the Andaman Discoveries team as Program Manager. Prior to moving to Kuraburi, Nicole served as a community based organizational development volunteer with the US Peace Corps in the province of Chumphon. After completing her twenty-seven months service, she was happy to become part of the AD team and continue to work with the Thai community this time in the area of sustainable tourism. Being fluent in the Thai language, culture and food has become a pleasurable and inclusive experience for Nicole. As an avid traveler and naturalist, she enjoys the beauty of Thailand and hopes to use her experiences to offer others the opportunity to realize its wonder. Erik has been an integral part in the development of Andaman Discoveries’ presence on the world wide web since 2005. He initially came to Thailand after the tsunami to join the NATR vocational training as an English teacher and stayed on to help develop the first website for each of NATR, Andaman Discoveries and the North Andaman Coast Tourism network. 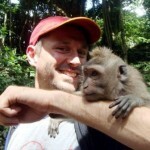 The Andaman Discoveries team is forever grateful for Erik’s help in keeping us live and secure on the internet! 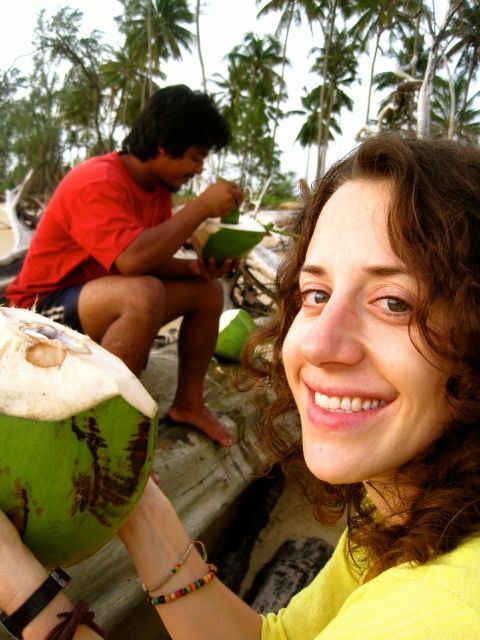 Lilia joined our team in April 2011, bringing her talent and inspiration to the Andaman Coast. Born and raised in California, she attended San Diego State University before starting her career in Tourism and Interactive Marketing. After working in the tourism industry for over 8 years, and seeing the negative effects of mass tourism, she shifted her focus to Sustainable and Community-Based Tourism. As the co-founder of GrassRoots Interactive, she is also a talented web designer, and expert in SEO and social media. She currently works as a consultant on various international projects, and offers her skills exclusively to sustainable businesses, responsible tour operators, and non-profit organizations. 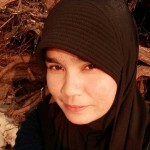 Connect with her on Linked-in and visit her Technomad Lifestyle Travelogue. Mimi joined the Andaman Discoveries family in 2008, and after moving back to Canada, continues to advise us from abroad. Her academic background includes economics, finance and management studies. After working in the investment and pension industry for a number of years, Mimi volunteered in a turtle conservation program in Costa Rica, and then went on a solo three-month journey to Asia, including Thailand, of course! Back in her hometown in Toronto, Canada, Mimi got Master’s degree in Environmental Studies, with a focus on community-based tourism, and spent two months conducting research in Northern Thailand. 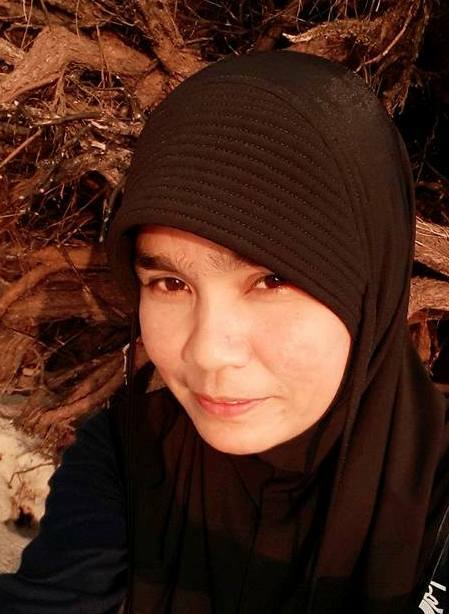 Shortly after Mimi finished her Master’s degree, she read about the good work that Andaman Discoveries has been doing for the local communities after the tsunami, and she could not refuse this great opportunity to put her knowledge and skills to use.